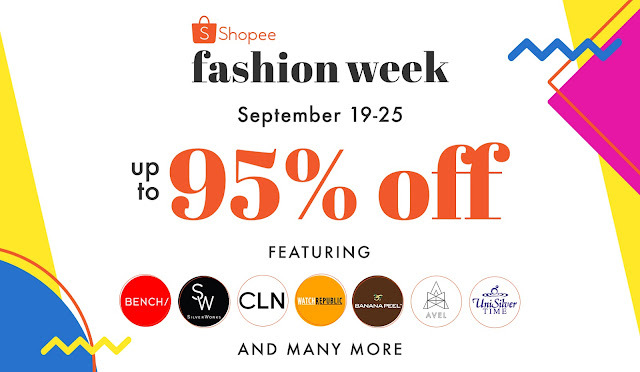 Shopee Fashion Week brings together top well-known fashion Brands in the Philippines and offers up to 95% Off the hottest fashion items. Shoes, jewelry, Apparel and many more are up for grabs! Top brands in fashion and lifestyle were gathered together by Shopee for the Shopee Fashion Week kick-off event held at Marquis Events Place, BGC. From September 19 to 25, score attractive deals from leading fashion brands like Bench, Silverworks, Banana Peel, CLN, Watch Republic, Avel Designs, and Unisilver are all in to provide up to 95% off men’s and women’s fashion categories including apparel, shoes, and accessories. To cater to the diverse fashion tastes of all Filipino shoppers, Shopee Fashion Week will contain six themed collections namely Fresh Finds, Sneakerfest, Aegyo! Korean Fashion, Denim + Leather, Holiday Glam, and Accessorize. Featuring unbelievable deals starting from ₱1.00, shoppers can save even more when purchasing their fashion essentials on Shopee. Shoppers can also look forward to the Everything Must Go flash sale on September 25, where the most in-demand fashion items will be available at unbeatable prices. Shopee is dedicated to bringing a customised shopping experience that caters to the unique tastes of our users. 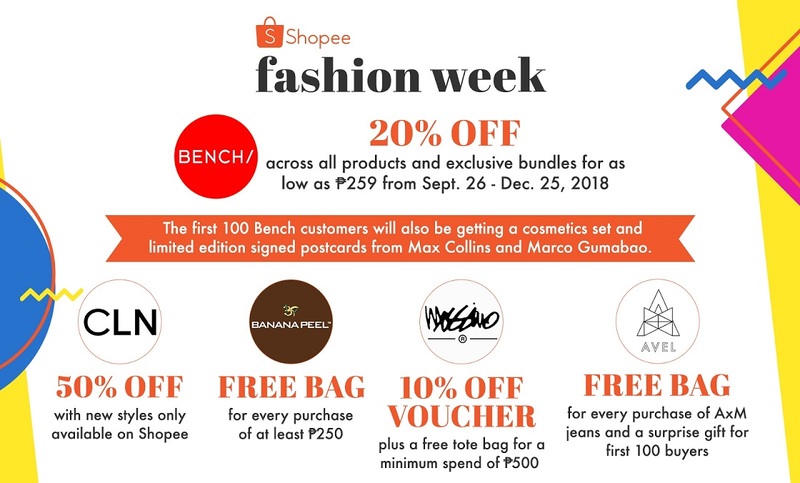 With dozens of the most beloved local fashion brands on board, Shopee Fashion Week aims to give users first-hand access to exclusive deals on a wide variety of clothes, shoes, and other fashion accessories. Together with themed collections and various other attractive promotions, we are confident shoppers can save even more on their favourite fashion products at Shopee Fashion Week. Bench PH also debuts its own official store at the ShopeeMall and gives awesome discount on all its product plus exclusive bundles. Scan the items now on sale exclusively during Shopee’s Fashion Week by visiting: https://shopee.ph/m/fashion-week. Don't forget to download the Shopee app for free on App Store or Google Play Store.